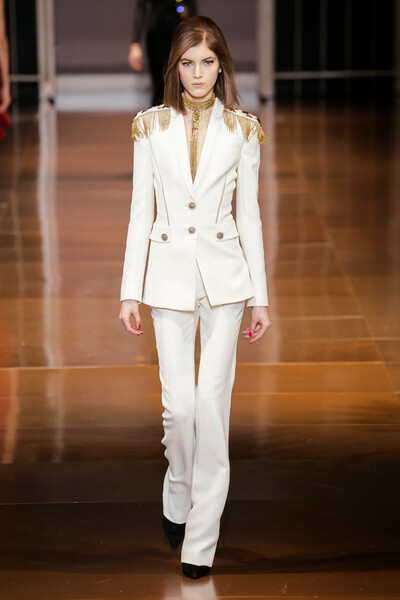 Donatella said to be focusing more on daywear for this collection. She only sent out four real floor sweeping gowns; the rest was daywear. But, note that we’re talking daywear in Donatella’s book. 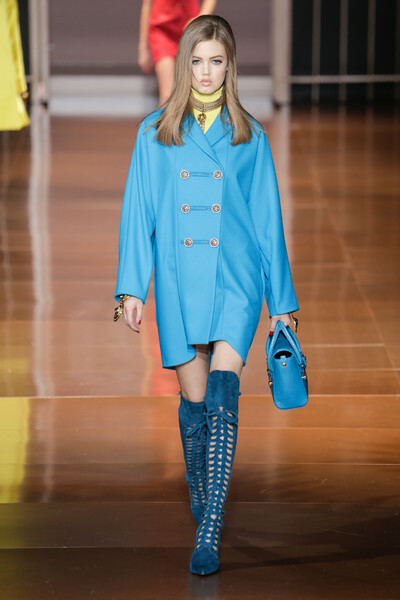 Which means a parade of asymmetrical figure-hugging dresse, lace up boots, military jackets and sixties inspired coats. 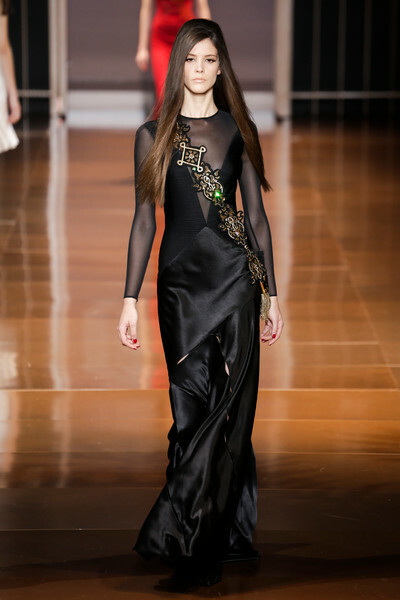 Silk and satin were the fabrics of choice, vivid red and petrol blue the colors. Cat-eye sunglasses and bags full of gold hardware spiced up the vampy military looks even more. 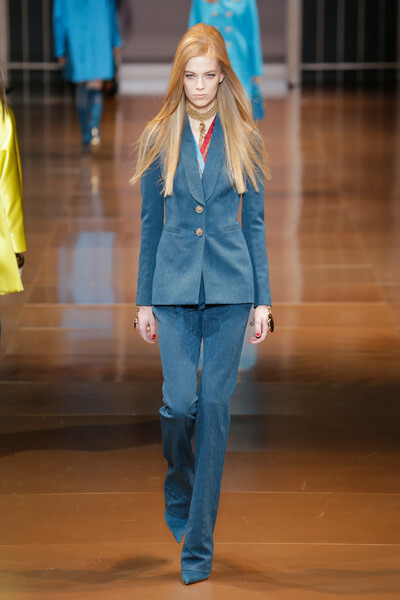 ‘Made in Italy’, Donatella stressed backstage, although the looks had a sixties London vibe written all over them.